I am so excited today!!!! Jai from The Book Trib has graciously asked if I would like to participate in a scavenger hunt, this is a first for me, and since it sounded like a lot of fun, my answer was YES!!!!. Not only will I give you a clue, but I will send you on your way to where the next clue lies. 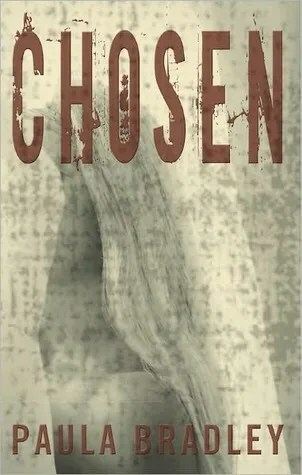 And Jai has also generously offered the chance for one of my visitors to win a copy of the debut book, a thriller, CHOSEN by Paula Bradley. Mariah soon realizes that the deathbed visitation by an otherworldly figure has magnified the nascent extrasensory gifts she’s had since childhood. Desperate to understand what has happened, she reaches out to non-denominational minister Michael Jenkins. The gentle Englishman becomes her spiritual guide and bedrock support when she is drawn against her will into the minds of abducted children. Her role in the rescue of these innocents draws the attention of FBI Special Agent Frannie Manzetti, who sees Mariah as a path to promotion and heightened status within the department. But can Manzetti keep her prize to herself once the women become friends? And can the agent protect her charge once the media gets hold of a stolen tape showing her psychic ability? When her fourth Finding hits the airwaves, all hell breaks lose. Blessed and reviled in equal measure, she finds herself on trial for murder while another government agency develops its own covert agenda to control her and her abilities. As her outer turmoil intensifies, Mariah is plagued by a series of terrifying nightmares, culminating in the discovery of an ingenious serial killer who somehow prevents her from finding out his identity and location. His elusive nature tortures her, driving her to frightening excesses as she becomes obsessed with finding him before he kills again. Paula Bradley has created a heroine who is remarkably complex and achingly human in a thriller that bristles with the tension of implicit danger and the draw of the unexplained. It will keep readers turning pages and challenging their own long-held beliefs on the nature of faith and the value of discovery. Back in her bedroom, she glanced at the clock on the nightstand. It glared balefully back at her: 3:05. She didn’t need the faint light provided by the red LEDs. She knew exactly where everything else was. Taking a deep breath, she grabbed the prescription bottle of sleeping pills and unscrewed the lid, dumping the contents into her left palm. Twenty-two thirty-milligram tablets of Restoril. It had to be enough. JULIE FROM KNITTING AND SUNDRIES HAS THE NEXT CLUE !!!! THIS THRILLER TO GIVE AWAY.